Thermal energy production reactions based on Lithium Nickel Hydrogen. 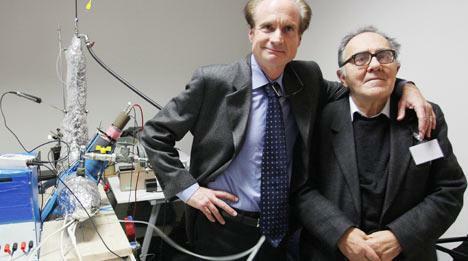 Andrea Rossi is an inventor and scientist with many patents to his name. His interests lie in the field of alternative fuels, particularly the eco-friendly reuse of waste materials, as well as in LENR Technology. 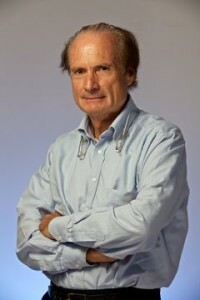 He is the inventor of the E-Cat and of the Rossi Effect. Andrea Rossi was born in Milan, Italy, on the 3rd of June, 1950. His father Luigi owned a metals workshop in Milan, and Andrea spent many hours there as a child. All of the tools necessary to machine metal were available to him, and he learned to use welders, hydraulic machines, lathes, and other power and hand tools. He learned how to tool metal and to make it do what he wanted it to do. In school, he particularly enjoyed sports. In fact, his cross-country skills were quite prodigious, and he set a new Junior World Record in the 24-hour run. He set the record in 1969, at age 19. In the following year, he went on to become the Italian cross-country champion. His understanding of physics, first developed in his metalworking hobbies, became more apparent and accomplished in school, where he excelled in physics as well as in chemistry. One of Rossi’s first patents was awarded in 1974, one year after he graduated from the University of Milan. In 1977, in order to protect his intellectual property, he applied for a patent for a filter cleaner that would operate at high temperatures for the purpose of air purification. In 1978, he published the book The Incineration of Waste and Smoke Purification. This book is still a textbook at the Polytechnic Institute of Milan, used in Chemical Plants courses. Rossi also adapted the family business to produce the equipment patented by him. The family plant, called “La Metallotecnica” became home base for his first big business venture. At the newly refurbished plant, he produced his incinerators. From the very beginning, Rossi was committed to reducing waste and pollution, and producing clean energy. Today, he and his company hold patents related to the E-CAT. In 1978, Andrea Rossi had mastered turning organic waste into a liquid very similar to fuel oil. In the social and historical context of those years, the idea was quite challenging, and thus required hard work. The United States, for instance, and other countries in the world, were experiencing serious fuel shortages. Rossi has always been a hard worker, as evidenced by his devotion to studies and athletics. So, the endless hours of research, trial, and error necessary to develop this science was of secondary concern. His focus was to identify a problem, and then solve it. The Patent Office of Italy granted a patent on Rossi’s technology in 1978. Rossi’s invention for transforming organic waste into oil was indeed a huge success. The major customers for his product Refluopetrolio were refineries, which found the synthetic oil especially useful and affordable for their processes. They used this fuel to produce fuel oils and solvents. All of this, however, was about to change. The fossil fuel industry took note of the fact that his company Petroldragon was manufacturing liquid fuel. Thus, big industry became aware of Rossi’s efforts, and pressure on the Italian government began. The government suddenly reclassified everything that Petroldragon processed as toxic waste. soil. The governmental process of accepting bids and awarding waste disposal contracts usually takes several months – sometimes years – to execute. However, in this instance, it only took days to complete the process. Destroying Petroldragon was not enough, though. Rossi was immediately chastised in public media for dumping toxic waste – the very same waste that had been fuel and solvents just a few weeks before, and had been repeatedly tested by the Finance Ministry for years. Rossi was publicly accused of running unlicensed waste treatment plants. Tax evasion was added to his list of felonies, even though he had been constantly monitored for years by the Finance Ministry, which assessed all taxes. Moreover, the result of this was that all customers who had purchased fuel from Petroldragon had to hire waste disposal companies to remove it. Warehouses full of Refluopetrolio were condemned, and the owners held liable for dumping toxic waste – safely, as it was stored in barrels, of course, but it was considered dumping nonetheless. Omar and the other Rossi plants were shut down. Over a period of 17 years, Rossi was detained several times. In each of these instances, he was acquitted. Five of the accusation charges lead to convictions. Those convictions were for failing to be in compliance with the suddenly changed permit laws. Although he was vindicated over and over again, the damage to Petroldragon was fatal, and it was time to move on. Several plants around the world are now operating on Rossi’s Waste-to-Biofuel technology from the 80s & 90s. 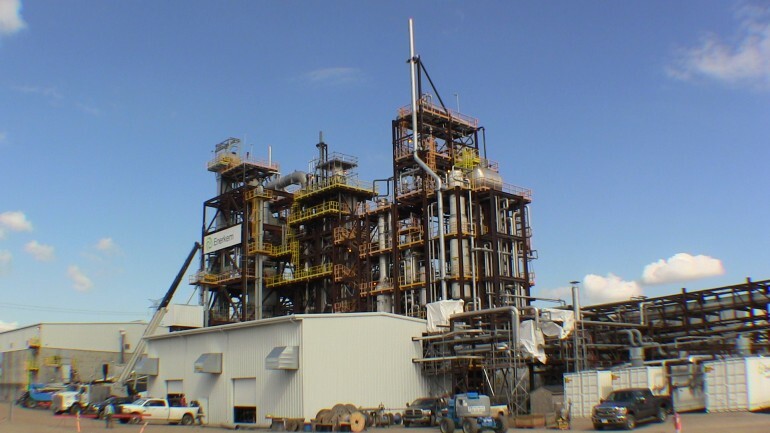 The latest is a plant based in Edmonton, Canada, where a Waste-to-Biofuels and Chemicals Facility opened in 2014, and converts garbage into biofuels. Eventually, this plant will process and recycle up to 90% of Edmonton’s garbage, up from the current 60%. Since the loss of Petroldragon and its contribution to recycling, Rossi has moved on to other studies in alternative energies. This was partly effected through his job at Bio Developmental Corporation, where he was able to continue with his experiments. In addition, he began working with Sergio Focardi to build a device that would deliver energy using Low Energy Nuclear Reactions (LENR). This type of energy production was first demonstrated by Fleischmann and Pons in 1989. While “cold fusion” was eagerly hailed by the media and some scientists, the fact that other researchers could not replicate the reaction soon led it to be portrayed as pathological science. Since then, over 3,500 journal papers, news articles, and books have shown excess heat in LENR processes around the world. Many governmental organizations and companies, such as NASA, Toyota, and Boeing, are currently working on this disruptive technology. In his early research and experimentation back in 2007, Rossi noticed that the device he was working on was actually creating energy, rather than simply producing fuel. At this point, he began exploring ways to use the device to create energy on purpose. Sergio Focardi, professor emeritus at the University of Bologna, had been working on using nickel and hydrogen to accomplish such a reaction since 1992. The two of them teamed up, with Focardi being Rossi’s scientific adviser, and began building an Energy Catalyzer, otherwise known as the E-Cat. In January 2014 it was announced that the American company Industrial Heat had acquired the licensing rights to his technology in the US, Russia and China. “The world needs a new, clean and efficient energy source. Such a technology would raise the standard of living in developing countries and reduce the environmental impact of producing energy,” said JT Vaughn, speaking on behalf of Industrial Heat (IH). Andrea Rossi, who now lives in Miami, Florida, continues to redesign, test, and build E-Cats. Currently, a one year test is being conducted on the 1MW plant, in a non-disclosed location in Florida, for the first commercial customer. The test, to be completed by February 2016, may turn out “positive or negative”, even though Rossi has stated that “it looks promising” several months in advance. While skepticism continues to cast a pall on LENR and cold fusion, Rossi and his team continue to work tirelessly on the E-Cat. Rossi regularly works 16-hour days, and maintains communication with fellow scientists via his blog, the Journal of Nuclear Physics. Andrea Rossi is an inventor and scientist with many patents to his name. His interests lie in the field of alternative fuels, particularly LENR Technology. He is the inventor of the patented E-Cat and of the Rossi Effect.